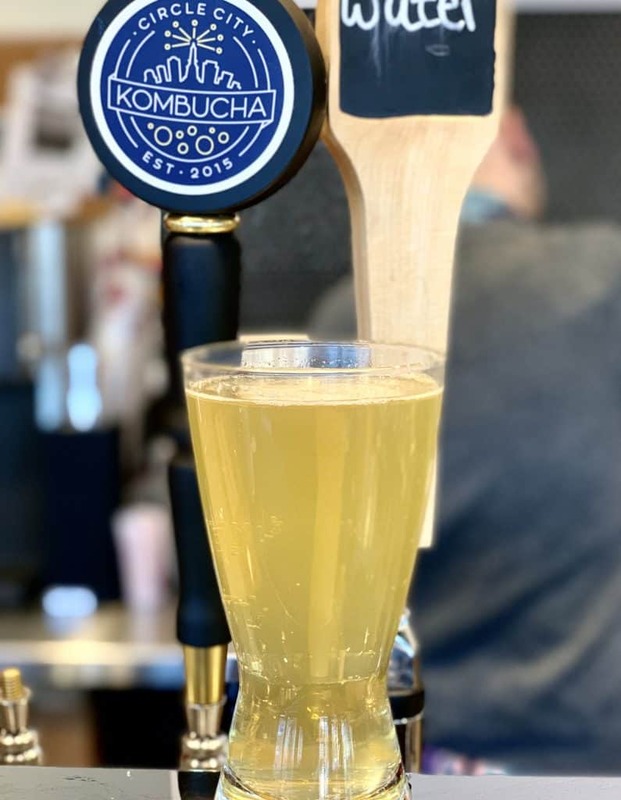 You’re invited to try Circle City Kombucha, the latest drink innovation on tap at our Crimson Cup Coffee Houses in Columbus and Tallmadge, Ohio. This fermented tea drink contains naturally-occurring probiotics that support digestive health. Circle City Kombucha’s mission is to grow a Feel Good community, one pour at a time. This Indiana-based small business is known for approachable kombucha with little or no added sugar. Peach Blossom is the initial Circle City flavor on tap at the Crimson Cup Brew Bar. “Circle City’s proprietary tea blend combined with essence of peach delivers a very crisp and wonderfully refreshing drink!” Kim said. Kombucha at Crimson Cup costs $5.00 for a 12-ounce pour. A new 32-ounce growler costs $15 and can be refilled for $11. Enjoy these feel-good drinks on tap at Crimson Cup Coffee Houses in Columbus and Tallmadge, Ohio!